There are alot of gamers in my house and I am not one of them, because you know it would eat into my scrapping time, right??? 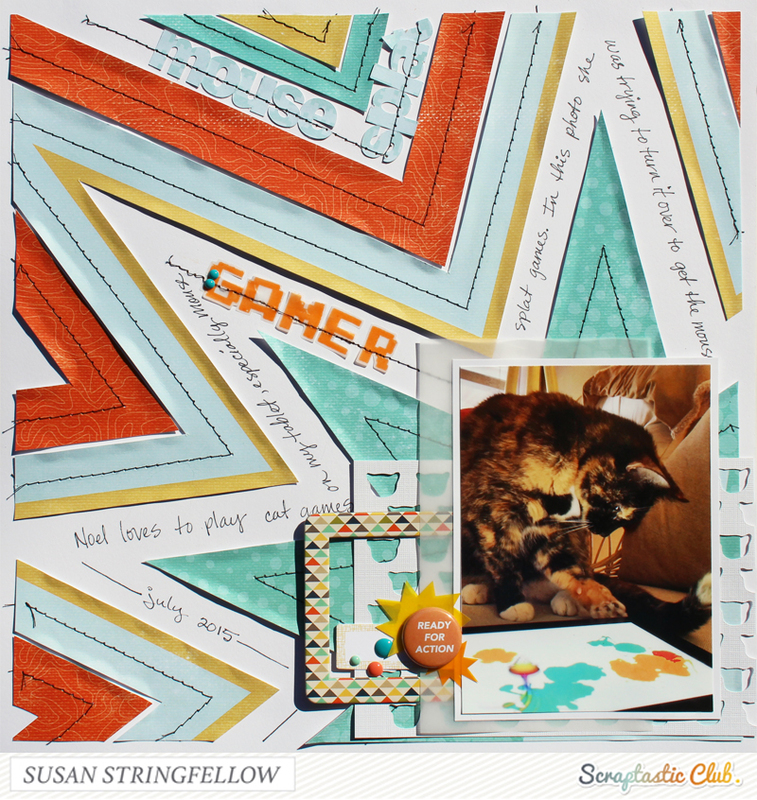 So, today I want to share a couple of layouts I made with this month's Scraptastic Club Centerfield kit, Add on Kit, Stamp Set, and Cut file, along with the Skinny Love Cut file and Lunch Notes Stamp Set. First this is my smallest gamer, Noel. 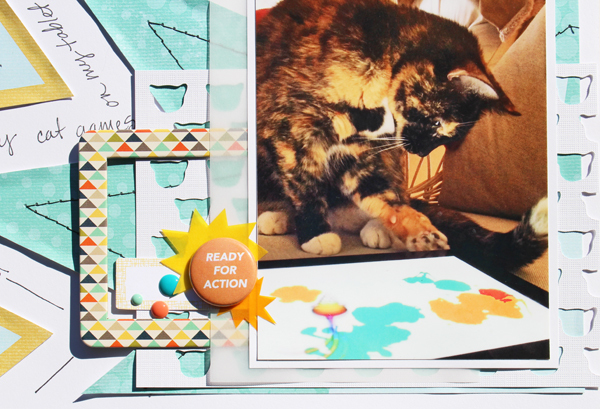 She just loves the games on my tablet where you get to splat the mice. I cut the background paper apart and then reattached it on white cardstock leaving out some of the rows that were white so I could journal and add my title. 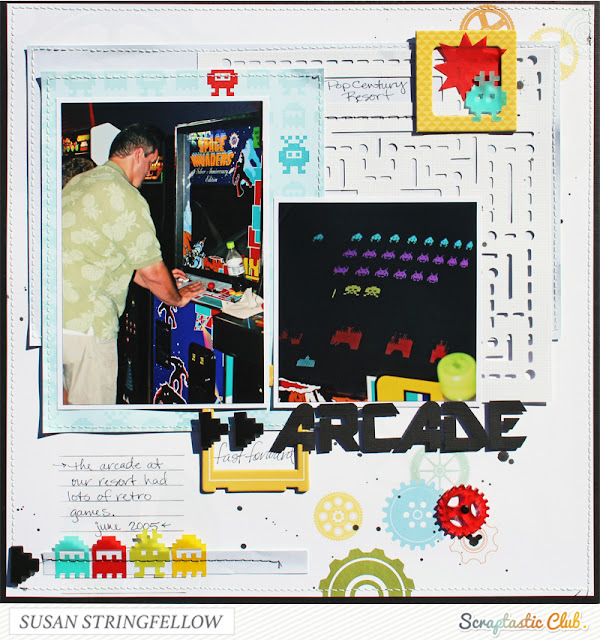 For my second page I used older photos of my husband when we were staying at the Pop Century Resort at DisneyWorld. 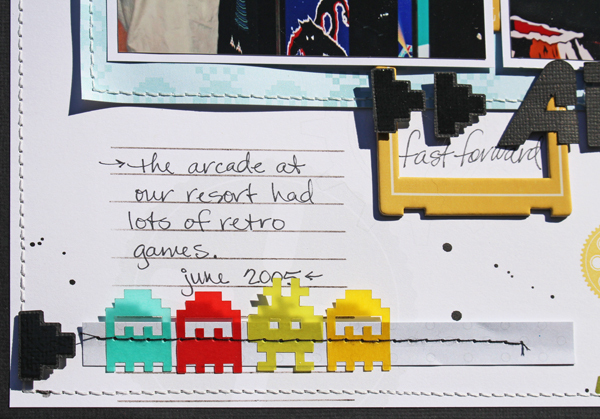 The exclusive papers and vellum die cuts in this kit were made for photos of Space Invaders. 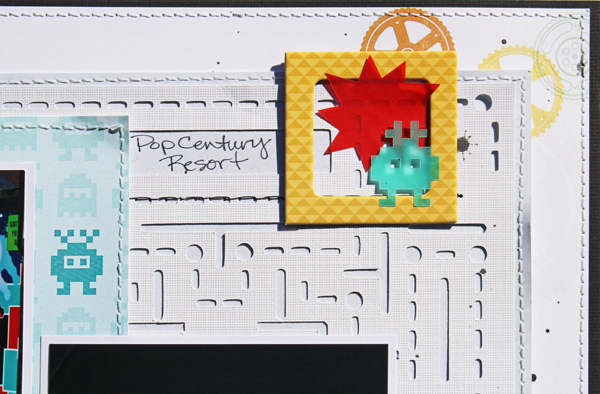 I totally loved the pac man screen looking cut file in this kit so I made it a bit smaller and used it in the upper right of my layout. The title is just die cut from black cardstock scraps, but the little sideways blocky arrows are actually stamped and embossed with black embossing enamel on black cardstock and cut out so they are glossy in person. The lines for the journaling are a great stamp in the Lunch Notes Stamp Set this month. And of course the cute little ghosts and alien are exclusive vellum die cuts that are in this kit.